As our Innovation Tech Cohorts begin, we are immersed in ideas. At the summer brainstorming sessions, groups identified multiple areas of curiosity and passion. Empathy. Kindness. Empowerment. Self reflection. Collaboration. Key phrases have emerged over and over again. However, how do we move from idea to reality? How do we ensure that we pursue innovation and keep students, vs. adults, at the center? Are we being risk takers and change makers? Every group that has met so far is wrestling with the transition from theory to reality. "Change Makers", a team at Riverdale Heights Elementary School, grappled with these very concepts this week. Their brainstorming umbrella enveloped the question 'Would you want to be a learner in your own classroom?' Always keeping that idea at the center of the discussion, they looked for indicators on what that would look like in their school. They rallied around the importance of having students feel accepted and cared about by the adults in the building. The concept of community is critical to learning and growing. In order to get the ball moving with a caring community, adults must first model this belief in order for students to see how we then want them to treat others. This community focus must then move from adult to student behavior. We want students to initiate and drive kindness, empathy and caring within the school environment. towards others as a caring community." From here, they broke the goal into steps, identifying a place to start. Their discussion shifted from what they will be doing...to what they want to see from students. Erin Merrill, sixth grade teacher, asked if the end goal could be "We want students to feel accepted and part of the learning community." She is right. We do want students to feel. And, as a result of what they feel, they will then be motivated to act. Student actions will allow us to gauge overall impact. Fast forward to the end of the year. What will students be doing? What will they be leading? Discussing? Initiating? What will our school look like? Hard questions. But talking with the end in mind, will help us work backwards to create this innovative plan. Innovation? Yes! Risk Taking? Yes! These teachers are willing to wrestle with looking at situations from multiple angles. Their desire to step out of comfort zone with how it's been done in the past is invigorating. It might be only a few classrooms at the beginning. Maybe it starts with meeting with interested students over lunch. It might move slowly. But, their innovative caring community is beginning to take shape and move forward - one step at a time.
" I read ideas and get inspired by them, but there's no follow through and I don't have the support and resources I need to implement them in my classroom. This cohort will give me the accountability I need to take the risks I want to in my classroom." Last October, several teachers heard George Couros speak at the ITEC convention. Fired up and ready to be innovative, we wanted to share our ideas and enthusiasm with others in the district. So, we did! Step #1: Our district purchased Couros' The Innovator's Mindset for any teacher who wanted to read the book. Multiple opportunities to discuss the book were scheduled. Before school. After school. Local coffee shop discussions. Virtual discussion boards. All meetings were optional. No minutes were required. No agenda was created. The talk among teachers was authentic and honest. Connecting and collecting ideas had started. But we didn't want to stop with the discussion phase. What else could we do to push this momentum forward? Teachers wanted to make changes and improvements in their classrooms to help students. It wasn't a discussion on technology as a stand alone. But as Couros discusses in his book, their beliefs were grounded in how to move thinking, collaboration, creating and connecting forward. Risk taking. Change maker. Collaborator. Key phrases that surfaced again and again. And always the question: Would you want to be a learner in your own classroom? 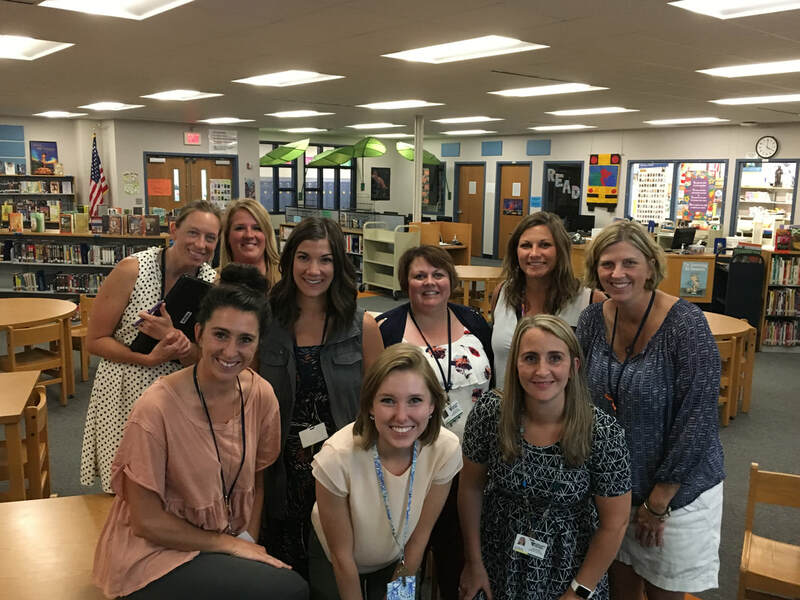 Step #2: With district support, we decided the next step would be to bring any interested teacher together at the end of the school year to form Innovation Tech Teams. Each school’s teams met for three hours to give teachers real time to delve into the concepts that most personally resonated with them. What were they interested in talking about? I told teachers to 'speed date' around the room. Find others that are curious about the same ideas. See who shares your specific passion area. Incredible conversations were initiated by teachers on how to impact student lives. They moved around the room, brainstorming, charting ideas, suggesting what they wanted to do, and explaining why it would matter in their building. Five buildings at different times had these conversations. The dialogue was passionate and enthusiastic and innovative. Keep in mind, the school year was over. These teachers could have been on summer vacation, but chose to come together and plan for the next year. Very naturally, groups came together and agreed on an overarching idea of work. Examples included: global collaboration, authentic and effective feedback, voice and choice in the classroom, creating a kinder community of learners, and collaborating across grade levels. We now have thirteen Innovation Tech Cohorts in the Pleasant Valley School district at the start of the 2017-2018 school year. Not a district mandate. Not a requirement. Not a set of prescribed rules. A genuine desire by dedicated educators to make a difference in the lives of their students. Teachers are now into week #2 of the school year. We have new professional development models, new curriculum and new staff. Yet, all 81 teachers that started the process at the end of the year are committed to being part of a building Innovation Tech Team. When Kat Schilling and I first started talking about some tech areas she wanted to explore, we initially discussed teaching her first grade students how to utilize the app SeeSaw. We've seen classrooms across the district experiment with the app so students can showcase their 'great work' along with using their voice to explain thinking. A small group of her students had just completed an animal research project and she wanted them to go back and reflect on their work. It made the most sense to tie the research and introduction to the app together. During our two weeks together, the students learned not only how to manipulate the app, but they discussed research at great length. What are the steps involved? Can I articulate those steps to another student? Could I teach the app to others? We even chose a new topic to replicate and reflect on the steps to ensure that we were secure in how to do them on our own. All along the way, the students were documenting their work in SeeSaw. They even added a checklist of steps, so that they could note their progress and keep track of what they yet needed to complete. The students developed a rubric. Both Miss Schilling and I could see their work remotely. My favorite student quote: "A rubric tells us if we did the right thing or the wrong thing and if we need to fix something." By capturing their voices, their images, their reflections, their notes, it was not only an electronic portfolio, but it was a showcase of the process. They were able to go back through their individual feed on SeeSaw to discuss the research steps. At the end, we recorded their important ideas to share with others and dropped it easily into SeeSaw as a video. For all the times I've struggled to get a video off an iPad, this was a piece of cake. Thank you, SeeSaw. More importantly, on Friday night I saw on Twitter a post by Miss Schilling where one of the students in the group was showing another student the video and his research work. He was teaching. When we empower students with meaningful purpose and allow them to experiment and play with the tools at hand, they in turn, teach others. Playing with Purpose to TEACH others. Thank you, Twitter! Once again, I have seen the power of networking to help me solve problems outside of my own four walls. 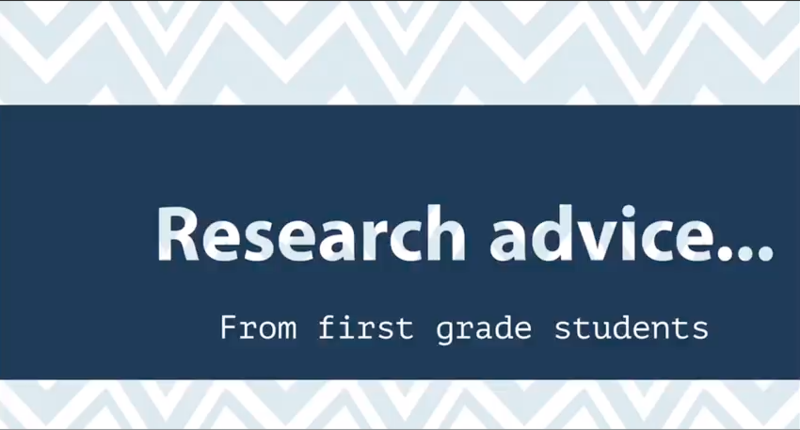 While working with Miss Meuser's fourth grade class, we wanted their immigration research to come alive and result in a newscast where students would research, write scripts, practice, film and edit their work. However, we didn't want to incur any cost by having to purchase an app for the iPad. And as we were using the iPads, the green screen feature for iMovie wasn't an option. So, we put the problem out on Twitter. Jonathan Wyler from the Grant Wood AEA in Cedar Rapids, Iowa, suggested we film in Touch Cast (free) and then edit with iMovie. The suggestion worked perfectly. We created new screencasts in Touch Cast and utilized a green screen effect for the background. Students had preselected images that correlated with the scenes in their script to allow their potential viewers to feel like they were at Ellis Island, back in their homeland, on the Stairs of Separation and boarding the ship to America. Once filming was completed, the entire project was compressed into one video and imported into iMovie. Students are currently working on adding titles, music and themes. Their movies underscore the importance of giving students time. The deadlines of curriculum frameworks and units often force us to hurry. The deadlines prevent in depth research and most importantly, the editing process that results when quality feedback is given by the teacher. Quality work takes TIME. Time to locate and gather new learning. Time to learn the format for writing and rewriting. Time to make the changes that teachers and peers suggest. Time to collaborate with the team. Time to practice lines and film. Time to edit. When we reflect on the end product, students are able to see that their skill set has grown in many areas. It wasn't just a matter of 'making an iMovie'. They are now stronger researchers, writers, editors, actors, collaborators, thinkers and problem solvers. May we continue to give students the opportunity to Play with Purpose. In my new role as a 'technology instructional coach,' I've been given the opportunity to play. Seriously play with technology tools and ideas, curriculum and classroom instruction. Some days I feel like I'm in a virtual sandbox where the mentality is, "Let's try it out and see what we come up with." While I play a very different role than my former position as a teacher librarian, I've seen first hand the potential that our young people have to create when given the opportunity. It is invigorating to watch students' eyes light up when being told they have a voice. And, this year we want to help them safely share their voices to positively impact the world. It's been empowering to watch students teach me how to change an Adobe Post creation they've made, or have students interact with each other to teach and share information. Currently, we have a group of third grade Google Trainers who are teaching other third grade students how to create an Adobe Post poster at the end of each week to personally synthesize the week's learning. Over the next few weeks, they will be continuing to teach their classmates how to participate in Google Classroom. Across the district, we have 6th grade Digital Leaders who are able to help out, support, train, and create with students throughout their elementary building. Power of Play. Giving students time to experiment with a purpose. Giving students the opportunity to learn from each other. Giving students clear guidance regarding possible outcomes and ideas. Then...let them go.